This bird is native to the Aru Islands in Indonesia, but has also been introduced to the Kai Islands. It is also known as the ‘medium sulphur-crested cockatoo’. Its natural habitat includes the Savannah, scrub, mallee and woodland. They tend to stay close to water and are usually seen in flocks, except during breeding season when they stay in pairs. Fischer`s lovebirds are kept in captivity. 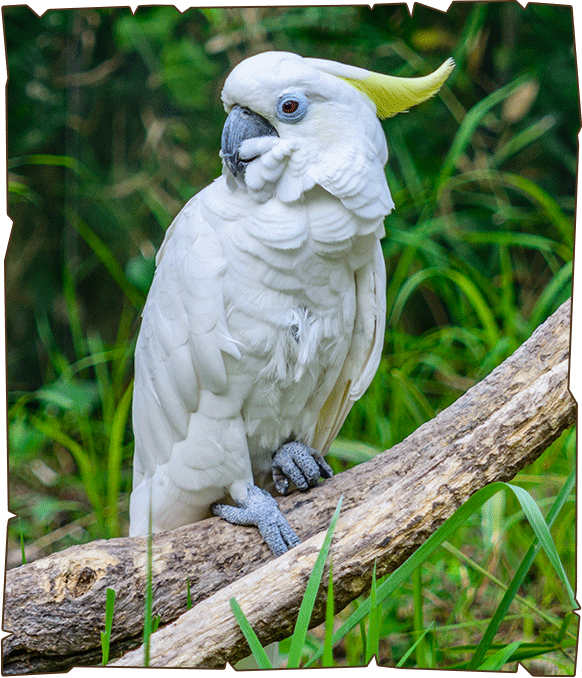 Lovebirds are social animals and are popular as pets.These parrots are naturally curious, as well as very intelligent. A 2009 study involving an Eleonora Cockatoo found that Sulphur-crested Cockatoos are capable of synchronizing movements to a musical beat.